with an angel, wise men & NOEL. I stuck to the mute tones. rubbed on over a mask by Tim Holtz. Fabulous, Jane! 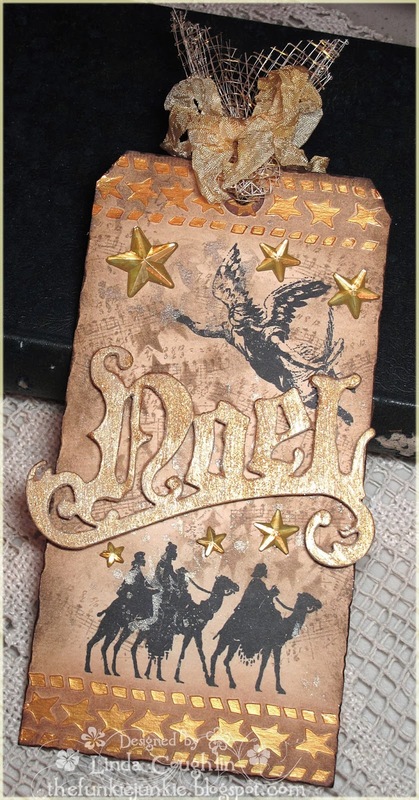 I really love your beautiful beams of light - what a brilliant use of the rays stencil! Your card came out gorgeous - great take on Tag #3! Thanks so much for playing.